Have You Been Offered A Free Radon Test? 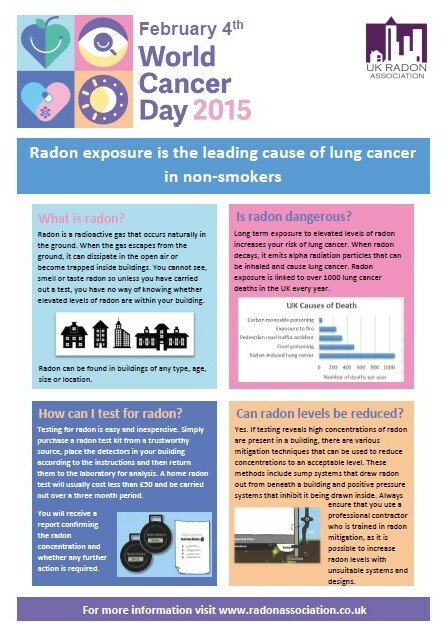 In November 2014, eighteen thousand households across Gloucestershire were offered a free radon test as part of a campaign driven by Public Health England (PHE). Letters were sent to households in areas covered by Cotswold District Council, Forest of Dean District Council and Cheltenham Borough Council inviting the householders to apply for a free test kit. By mid-December, PHE reported having received responses from over 4000 householders. This represents roughly 25% response rate from the Cotswold and Cheltenham areas and over 21% from Forest of Dean. UK Radon Association encourages all those who have been offered this free test to take up the offer, as testing is the only way to know whether or not a home is affected by harmful levels of radon. A test for a standard-sized property will usually cost in the region of £40 – £50, so you are saving money whilst also carrying out an important safety check on your home. You have been offered the test because your home has been identified as being located in an area of higher risk of elevated indoor radon concentrations. 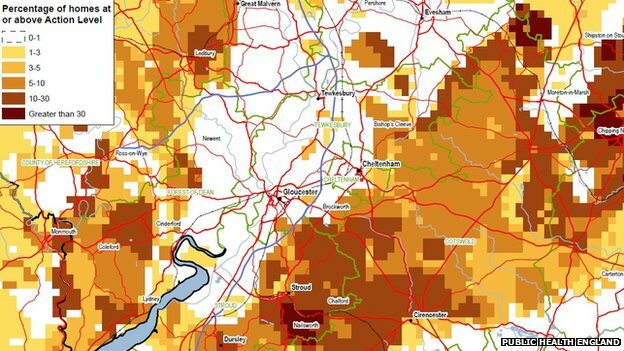 Even in these areas, the majority of homes contain low levels of radon, but the only way to confirm this is by testing. The results of the radon test are confidential. The test results are sent only to you (the householder) and are not publicly available on any database or website. Postcode-level data is used to assist in creating predictive maps, but this does not identify individual properties. Testing for radon is very simple. You will be sent two small plastic detectors which simply need to be removed from the outer packaging and placed in the test locations (e.g. a bedside table in the master bedroom and a bookshelf in the living room). After three months, they should be posted back for analysis. It’s that easy! A radon test report is a benefit when it comes to selling a house. If you have been offered a free test kit, your property is situated in a designated ‘radon affected area’. This statement will be included in the information that a potential buyer’s solicitor and surveyor supplies. It is likely that the buyer will then ask for a radon test to be carried out, so if you have already done this you are in a stronger position than a vendor who hasn’t, and can save time. If the test results show that work to reduce high levels is recommended, you can carry this out before putting the house on the market so buyers will be reassured that there is nothing to worry about. If high levels of radon are identified, remedial works will be recommended. The cost of these works will depend upon the radon levels found, size and layout of the property and construction type. Remedial works will typically cost between £800 – £2000 (including VAT). Some types of radon remediation systems can also bring additional benefits to a building, such as the elimination of condensation and reduction of allergens. If you do not live in one of the above areas but wish to carry out a radon test in your home, radon test kits are available from UK Radon Association members listed here. The UK Radon Association has received the support of Rt Hon Don Foster MP, who has said that he “welcomes the formation of the Association to carry forward valuable work”. Mr Foster, who is the MP for Bath and current Liberal Democrat Chip Whip was Minister for the Department for Communities and Local Government (DCLG) between 2012 – 2013, when he says that his “interest and concern about radon” caused him to instigate an update of the Building Regulations and associated guidance. 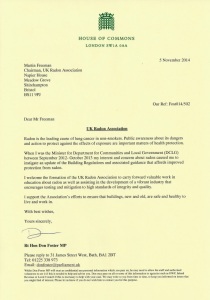 The UK Radon Association is grateful to Mr Foster for his support and encouragement, and looks forward to the upcoming publication of new guidance for radon protective measures in new buildings, which is expected in early 2015. To read the full letter sent by Don Foster MP, please click here. 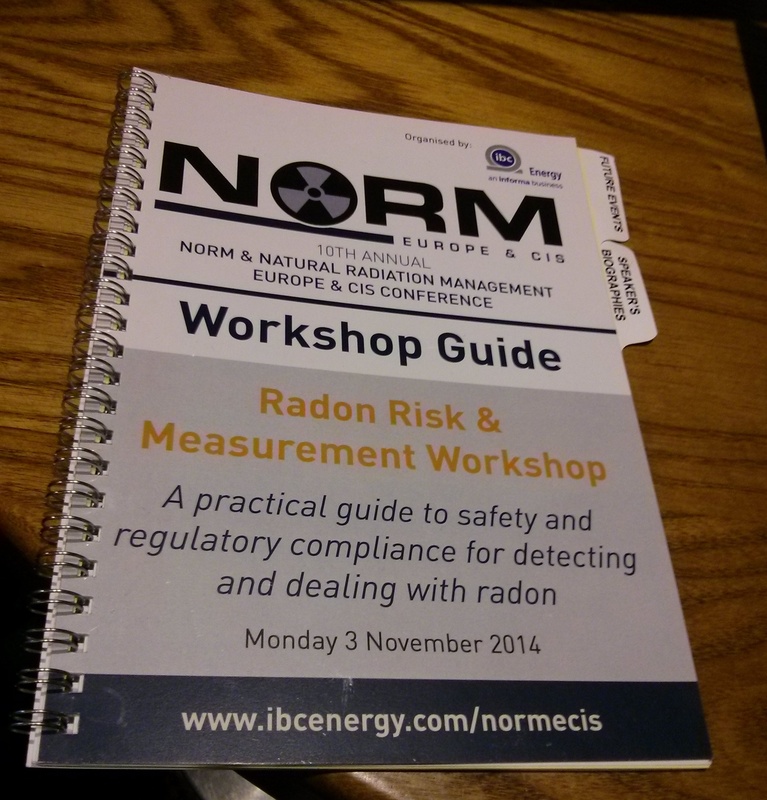 The UK Radon Association were invited to host a one-day workshop as part of the recent International NORM & Natural Radiation Management Conference, held in London. The workshop was attended by delegates from the UK as well as countries including Canada, United Arab Emirates and Saudi Arabia. Martin Freeman, Chairman of UK Radon Association welcomed the delegates and delivered a keynote address, which included details from the recently published HSE statistics report. Analysis of the statistics by the Institution of Occupational Safety and Health (IOSH) revealed that “We’ve put safety first at the expense of health” in recent years. The report continued “It is much easier to visualise falling of a ladder than it is to visualise the harm caused by exposure to gases and vapours”. It is hoped that this will generate renewed emphasis upon the need to conduct workplace radon risk assessments. Rebecca Coates of UK Radon Association member company propertECO gave attendees a general overview about radon issues and how the risks can best be communicated amongst different stakeholder groups. UK Radon Association Vice Chair Dr Maria Hansen (of TASL) spoke about the health effects of radon exposure and the various methods of testing for radon, including the use of passive monitors, continuous monitors and grab sampling. Legislation regarding occupational exposure was discussed by David Lenden of RPmatters. David also detailed the requirements laid out in the new EURATOM Basic Safety Standards, which will see all European member states producing a ‘national radon action plan’ by February 2018, as well as possible alterations to the reference levels.